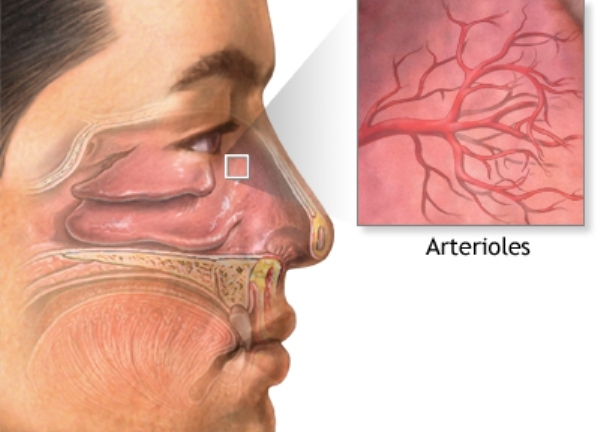 Most nosebleeds occur on the front of the nasal septum. This is the piece of the tissue that separates the 2 sides of the nose. This type of nosebleed can be easy stopped by a trained professional. 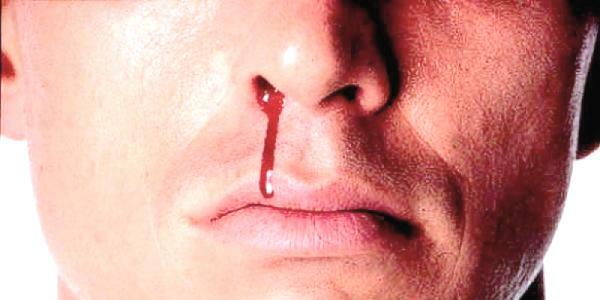 Less commonly, nosebleeds may occur higher on the septum or deeper in the nose. Such nosebleeds may be harder to control. However, nosebleeds are rarely life threatening. Repeated nosebleeds may be a symptom of another disease such as high blood pressure, a bleeding disorder, or a tumor of the nose or sinuses. Blood thinners, such as warfarin (Coumadin), clopidogrel (Plavix) or aspirin, may cause or worsen nosebleeds. • Sit down and gently squeeze the soft portion of the nose between your thumb and finger (so that the nostrils are closed) for a full 10 minutes. • Lean forward to avoid swallowing the blood and breathe through your mouth. • Wait at least 10 minutes before checking if the bleeding has stopped. Be sure to allow enough time for the bleeding to stop. • Keep the home cool and use a vaporizer to add moisture to the inside air. • Use nasal saline spray and water-soluble jelly (such as Ayr gel) to prevent nasal linings from drying out in the winter. • Bleeding does not stop after 20 minutes. • Nose bleeding occurs after a head injury. This may suggest a skull fracture, and x-rays should be taken. 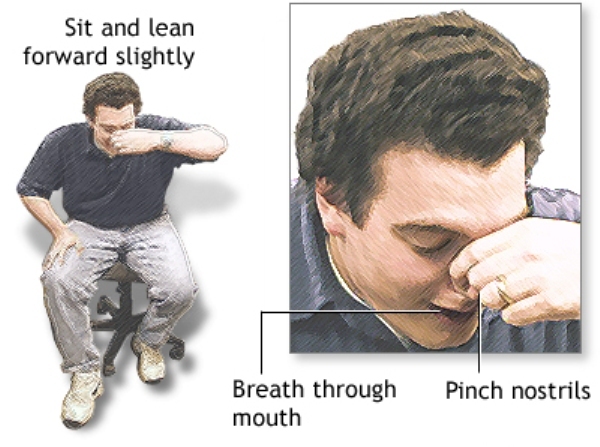 • Your nose may be broken (for example, it looks crooked after a hit to the nose or other injury).